The Toloha Partnership Engineer, Burt Rudolph (pictured above) shares his heart about the project and poses a challenge to raise the remainder of funds needed to finish the project! I want a moment to share with you from my heart about what God is up to in Toloha Village. We had a chance to share at the Thursday night service at Grace Fellowship Church, and it was amazing! After Ashely and I spoke and updated the congregation about our experience in Toloha, God started to move in a very real way. Ashely and I were still tired from the time change (3 am Tanzania time) and planned on just giving a brief update on Toloha, but God had bigger plans for the evening. 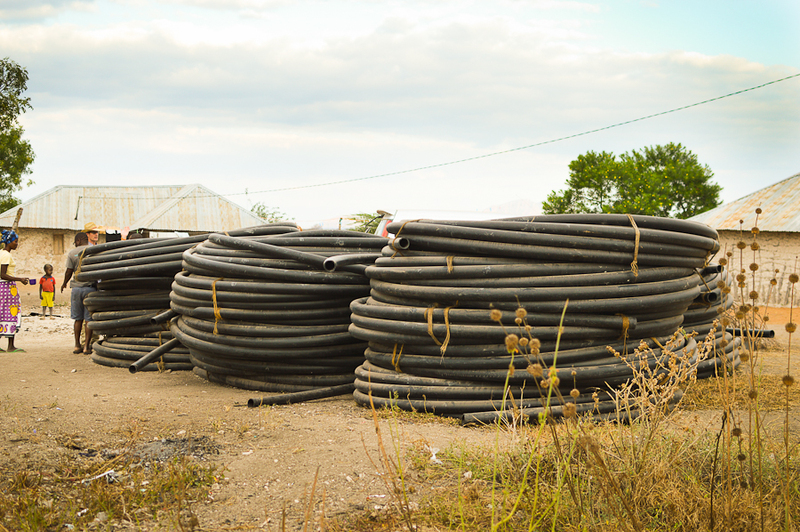 ALL of this pipe is now in the ground!!! Sammy Hudson, the Director of The Refuge youth ministry in Greene County, presented the sermon and really challenged us to let God provide in ways He chooses for Toloha, not according to our limited plans. Sammy was prepared to give a four point sermon starting with sharing a need his ministry had for a water line and how God met the need in His way, but when Sammy heard about the need of Toloha he said only the first point of the sermon would be presented and he would share the rest after our emergency financial need was met. The villagers are ready for water! 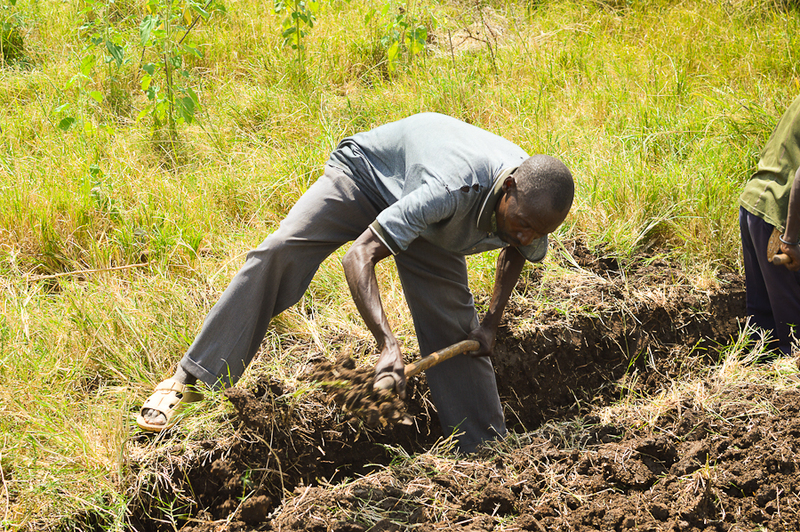 Basically, Toloha Partnership has an emergency financial need because the manual labor of digging the pipe trench is progressing much faster than expected. Based on test trenching results conducted last year we calculated it would take about 6 weeks to trench and install each 2 kilometer section of pipe. So the entire 8 kilometer pipeline was anticipated to require 24 weeks of work. Guess what? We were wrong. 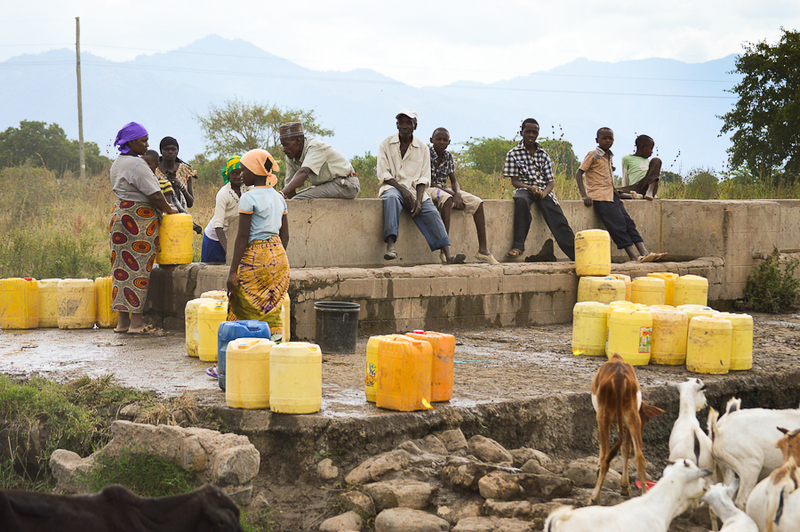 People of Toloha are so desperate for water that the first 2 kilometers of pipe only took two weeks. That is one kilometer per week, so the whole main pipeline job will be done in 8 weeks and we are 3 weeks in. If funding is available, the main pipeline will be complete in 5 weeks from now! If not, work must stop in a few days. 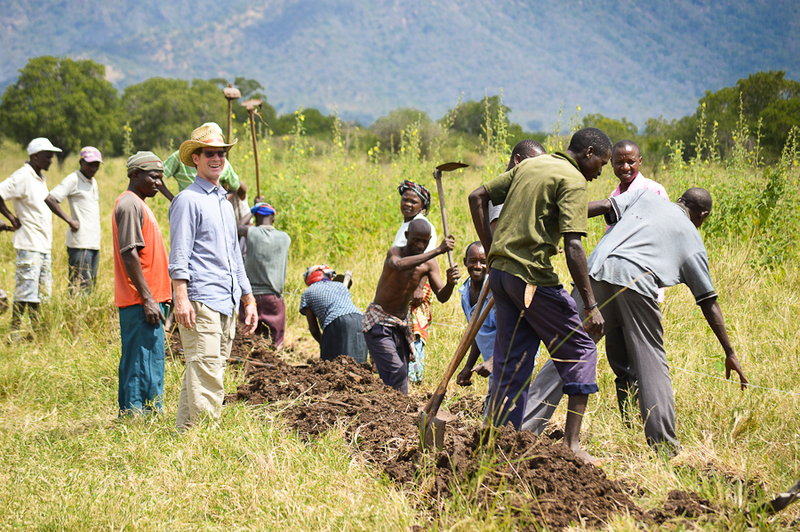 Everyone is working hard to dig the trenches for the main pipeline to the village, and they are way ahead of schedule! I remember my last meeting in Toloha with the water board and village elders. I explained we did not have the resources to buy the pipe right now and asked for prayer to the living God – Jesus (the village is predominantly Muslim). At that point, I knew there was no way we are going to win the pipe race (America vs. Tanzania) and the project would be halted. I am embarrassed to say, I did not have the enough faith to even think He could do it. I thought Toloha would just have to stop digging and wait, but timing is important to God. Here is the rest of the story. In the middle of the church service on Thursday night, I was asked how much more money we need to buy the pipe and finish the main pipeline. I really did not know since I was not prepared to discuss or ask for funding that evening. From the front of the church with the microphone in my hand, I looked at the Toloha Partnership Treasurer sitting in the sound booth at the back of the sanctuary and we quickly calculated $25,000. Here is how God works … A person who asked to remain anonymous approached me after the service and said you are now 1/2 way to your goal! Now, I believe the other 1/2 will be here by Sunday and the amazing people of Toloha can keep on working. This morning, Friday July 25, 2014, I have faith Sammy will be able to finish the rest of his sermon on Sunday, if people across the world who care about Toloha tell others and give themselves! Please email the Toloha Partnership Treasurer, Mike Wiggins info@tolohapartnership.org or donate here with your pledge amount for the emergency need … THANK YOU! Is this the Burt Rudolph who lived in Sumter, SC in the mid-70s? If so, we were friends then. I think you were from California. I’m Weston Alford and also am a Christian now as well as a Presbyterian (PCA) pastor living in Sweetwater, TN near Knoxville. If this is the Burt I am thinking of, I’d love to catch up. Blessings!